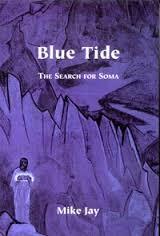 In the beginning, there was soma. The Rig Veda, the earliest sacred text of the ancient Indo-Europeans, includes dozens of hymns in praise of this hallucinogenic plant which, when drunk, takes its subjects to the realm of the gods on its ‘blue tide’. But in the Hindu tradition that followed it, soma is declared to have been ‘lost’, and its use abandoned. Blue Tide combines history and botany, drug rituals in Brazilian churches and a journey to the Himalayas in search of one of the great unsolved mysteries of the ancient world.